Bring on the Black Friday and Cyber Monday sales! With December right around the corner, this is a great time to take advantage of these massive sales and purchase a new winter jacket. I found some great winter coats under $50 in styles and colors that will flatter every woman. Happy shopping ladies! This fabulous coat comes in multiple colors and is perfect for layering. This puffer jacket is a total head-turner and can you take it from the slopes to a night on the town. Faux fur is definitely trending right now and it is quite warm. These two colors will surely flatter everyone! This is such a cute coat, especially for the holiday season. Plus this print always makes me think of campfires and smores! Bomber jackets flatter all body types and this pink color is a dream. I’m crazy for this faux fur leopard and tiger print varsity jacket. You might also enjoy my tips on how to wear white after labor day. I wish you all a wonderful upcoming Winter! i love the new coats this season! These are all so cute! I love the color of the F21 one so much! The check bomber jacket is my favourite!! These jackets are all different but so much fun!! Obsessed with this selection!! 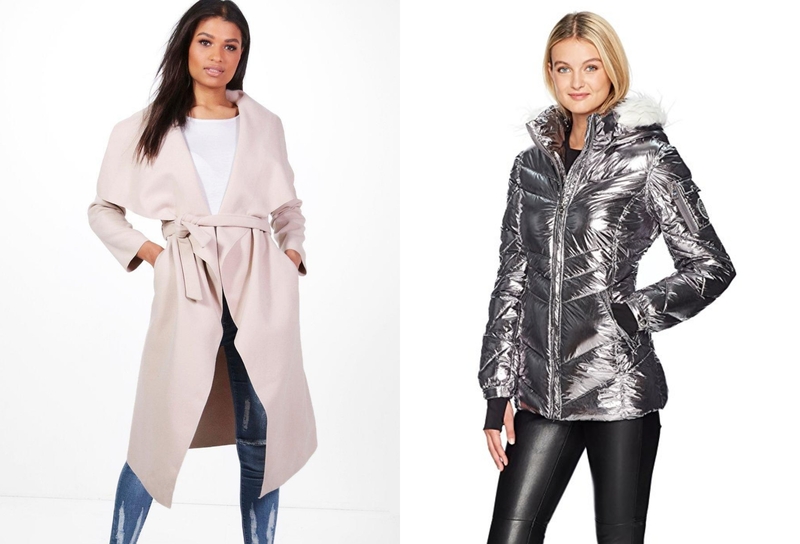 Stunning coats at a very affordable price! I love the waterfall coat. This is exactly what I’ve been looking for and in the exact shade. I need that Madden Girl jacket!! I am obsessed with everything about it! !